Indian marriages are all about rituals and traditions including a number of functions that go till the wedding day, they start a week before and continue even after marriage in form of small-small ceremonies that signifies our culture and elders love and affection. Families start preparations way before time to make the wedding a perfect and so you also need to start your personal preparations before the D-day. Following are the some tips which the “Bride and Groom” can follow to plan their dream wedding by saving time and avoiding last minute hassles. 1. First thing first, book the venue. Indian marriages takes place on a special ‘mahurat’’, a date on which many weeding’s may clash. So it’s better to be safe and pre-decide your dream destination and book the venue as soon as you decide the date. 1. Plan your pre-bridal wedding photo shoot. Select locations and execute it as it would stretch for days if you select multiple places. It would be the right time to conduct as you will be having plenty of time to think upon the destinations which you could choose for the shoot. 2. Wedding cards hold a special place among all the preparations and remain the center of attraction as they symbol of togetherness of two families and two souls which take vows to be together for lifetime. So, select them very wisely. Take 2-3 samples and the one which suites you best is yours. 1. Now starts the real preparation time – time for shopping. It’s the right time for your bridal outfit shopping. Relax and start the shopping trips in search of the best “lehnga” that would make you look fabulous on your big day. 2. Decide upon the functions that would be part of the wedding and plan your outfits accordingly. 3. Keep shopping for all the accessories along with the dress that you will be wearing. 4. Shop for the groom’s dress. Always remember that customization of bridal and Groom’s outfit takes time so if you wish to do so take some buffer time into consideration. 1. Start your pre bridal parlor sessions. Go for face clean ups, massages and facials that would instill the perfect glow on your face for the big day. 2. Take body spa to make your body look more sensuous and smooth. 3. Decide upon your hair and bridal makeup. 4. Exercise daily and eat healthy food as it would impart an internal glow to your face and body. Drink lots of water and fresh juices. Make salads an integral part of your lunch and dinner regime. 5. Decide your honeymoon destination and make all the bookings. 1. Send out the wedding invitations to all your distant relatives and friends. 2. Decide on the menu for the big day. 3. Go for dress rehearsal and finalize the fittings for all the dresses that you will be wearing during all the functions. 4. 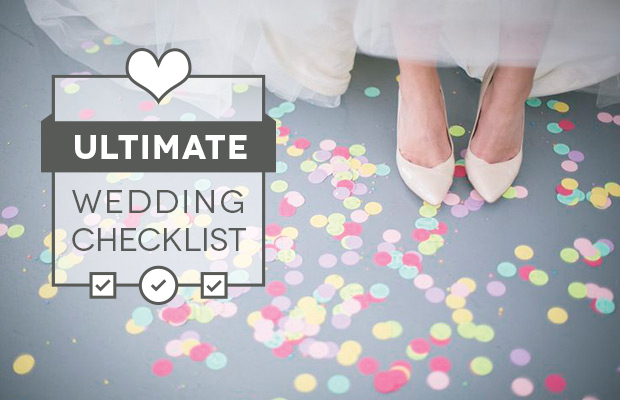 Make a list of all the essentials you will be needing and buy them off to complete the preparations. 1. Relax and enjoy the days. Take full 8 hours sleep because it’s very important to rejuvenate your body and mind. 2. Segregate your outfits and accessories. Make separate slots to avoid panic situations at the last moment. 3. Decorate your house for the guests and enjoy some quality family time as wedding days will be hectic and would take a toll on you. Enjoy your wedding up to the fullest and I hope these tips come handy while planning your wedding!!! !